The speed trap feature will flash an icon when a speed trap is detected and when the driver is nearly upon said speed trap, an audio notification will alert them to slow down. Google Maps is probably the most commonly used navigation tool in use today. While Garmin and TomTom are still around, the fact most people use either Android or iOS smartphones means Google Maps is now in the palm of most people’s hands. 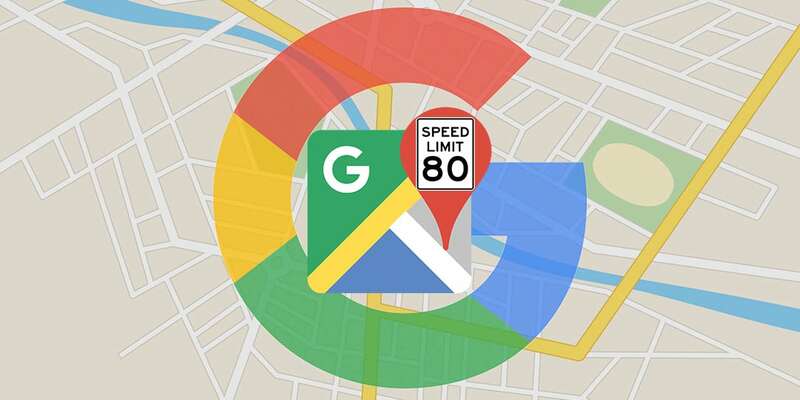 Now, for the first time and to the delight of many, Google is adding speed limits and speed trap information to Google Maps. The update is currently rolling out to both Android and iOS users. Speed limit data has been in the app for about a year and a half but was locked to a handful of locations such as the San Francisco Bay Area and Rio de Janeiro, Brazil. The speed trap data is a brand new feature and should help some drivers avoid speeding tickets. As we mentioned, the update is rolling out now but only a handful of countries will get the speed camera feature. These countries include Australia, Brazil, Canada, India, Mexico, Indonesia, Russia, the U.K and the U.S. Speed limit data will be available in Denmark, the U.K., and the U.S.
It’s great to see that Google is finally pushing this out to users as it’s been a feature that we’ve all been wanting since Waze and Apple Maps have it. Either way, it’s a welcomed update that I’m sure everyone appreciates. What do you think about Google finally adding in speed limits and speed traps to the application considering Apple Maps and Waze have had it for a while? Let us know in the comments below or on Google+, Twitter, or Facebook. You can also comment on our MeWe page by joining the MeWe social network.